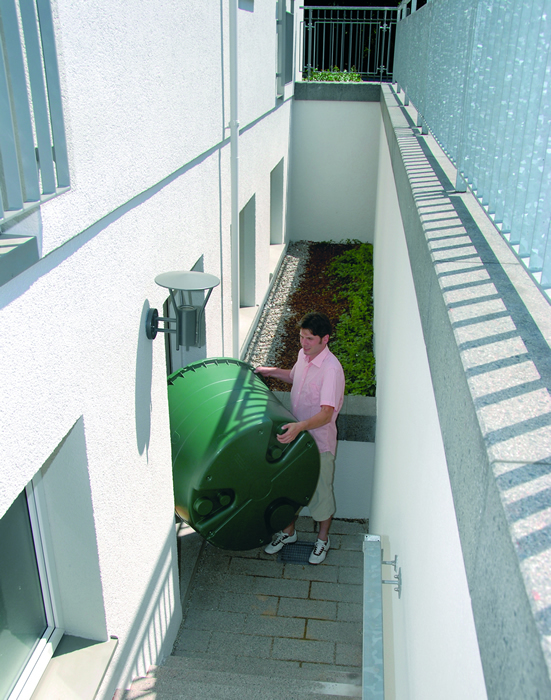 Graf has been offering high quality rainwater harvesting products since 1974, and has been producing plastic products for 50 years. 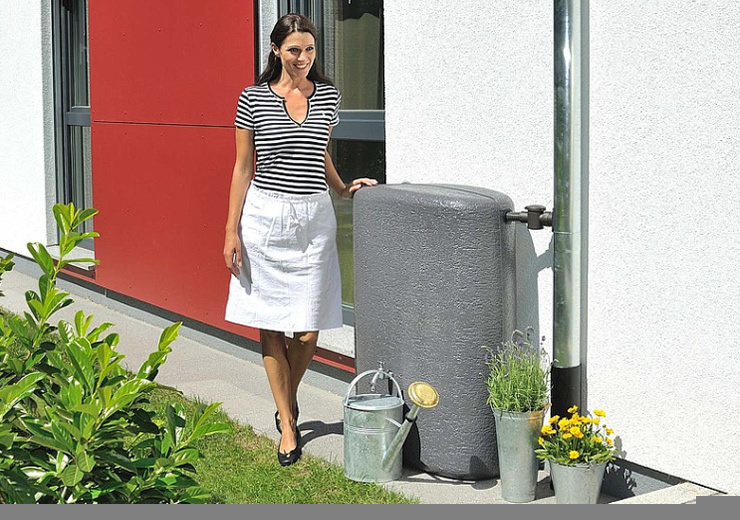 Utilizing precision production processes and a commitment to innovative products has made Graf the market leader in rainwater collectors. 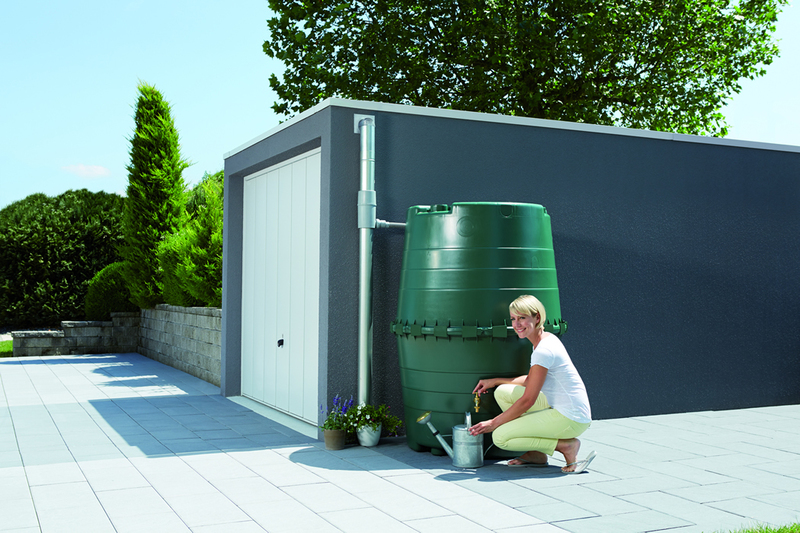 A wide range of visually attractive rainwater collection systems and accessories means Graf has the right product for the largest range of customers. 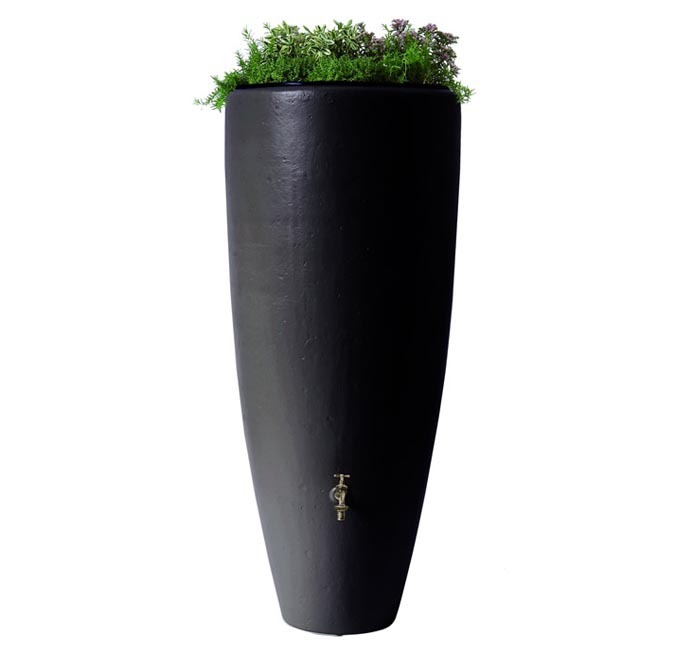 This combination rain barrel and planter has a modern design that will intergrate well with any type home. 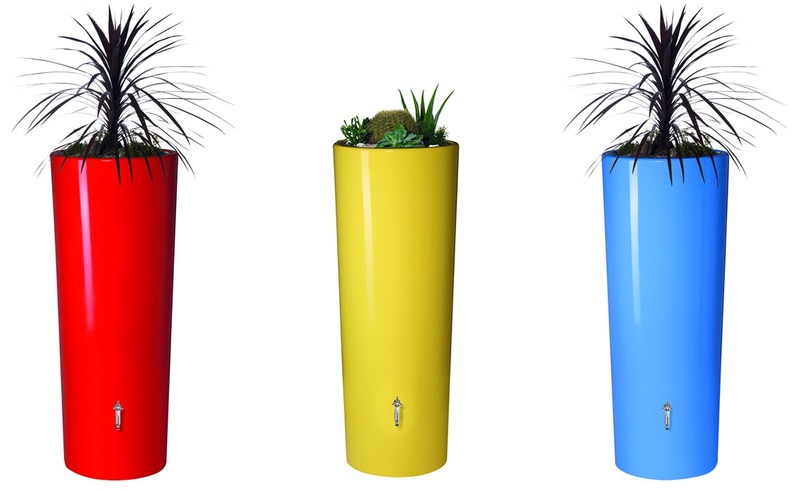 Available in several colors to match any outdoor decor. UV stable and weather resistant. Made from the highest grade plastic. 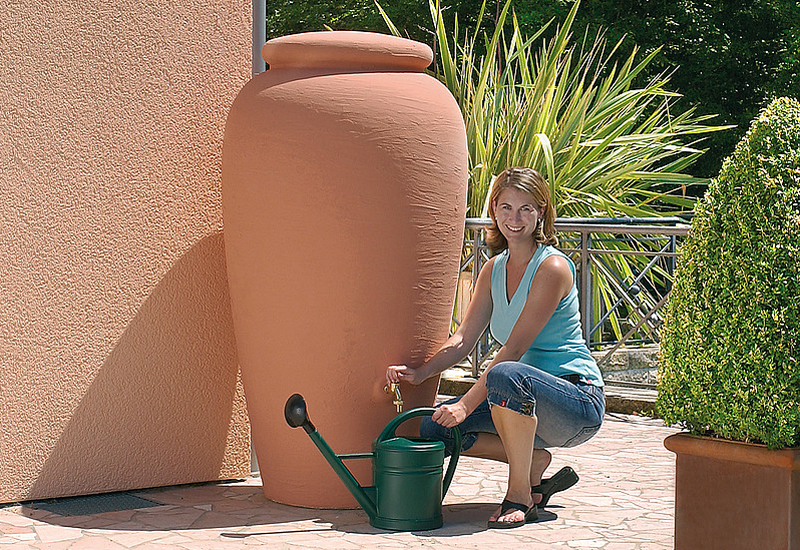 High Gloss Elegance Rain Barrel with Planter. 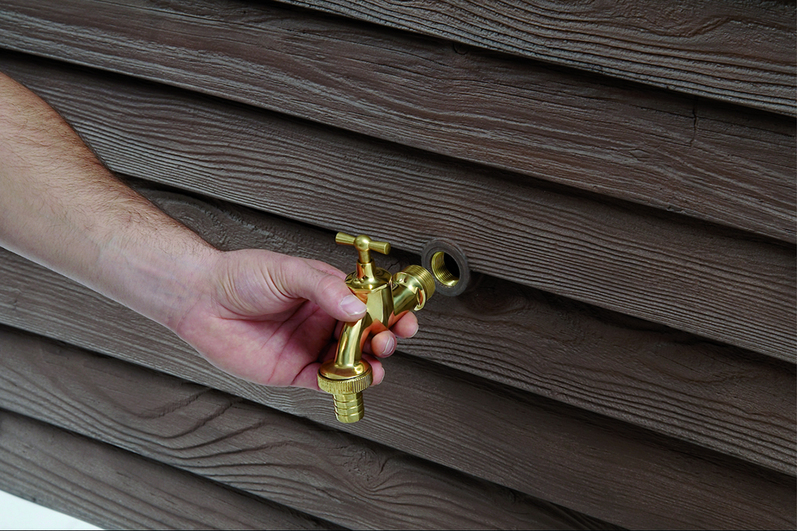 Winter proof - just leave tap open in freezing weather. UV Stable and weather resistant. Warranty: 5 years; Made in Germany. 92 Gallon Capacity! Includes. chrome spigot and a Universal Downspout Connection kit (with drill bit). Made from the highest grade of plastics PP Co-polymer. 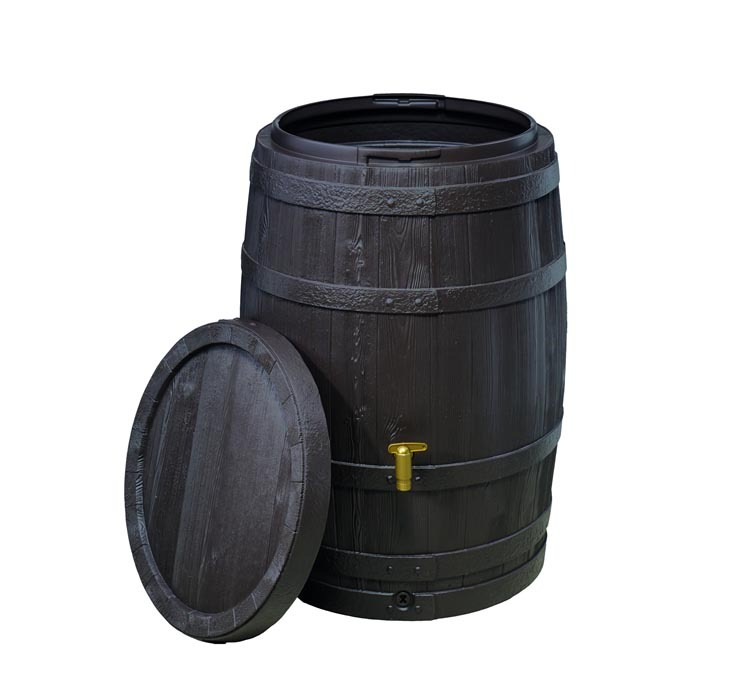 ship size 25" dia x 38"
Large capacity rain barrel (350 gallons) designed to fit through standard door openings to reach any size backyard. You may increase capacity by "daisy-chaining" units together using the optional multi-unit connector kit. 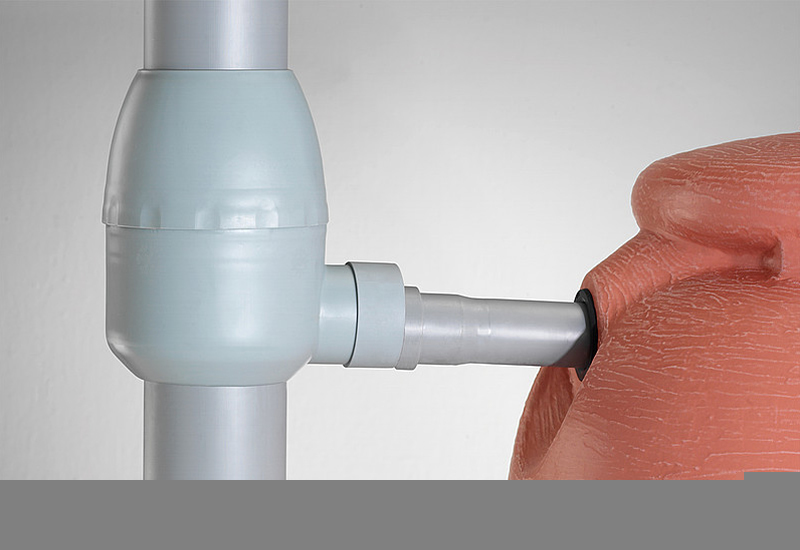 Each unit comes with a special drill bit to create your own intake hole on top or side. 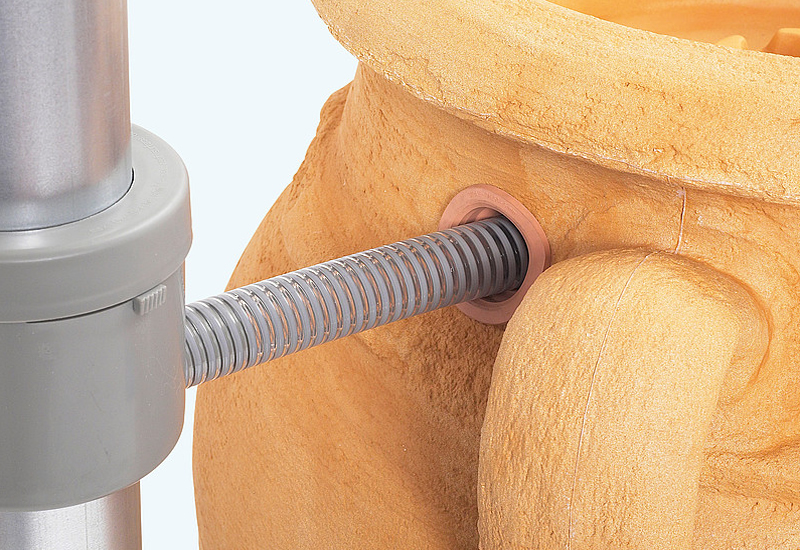 The tank features thick rubber seals in channel of both halves which clamp together with special locking clamps for no leakage. 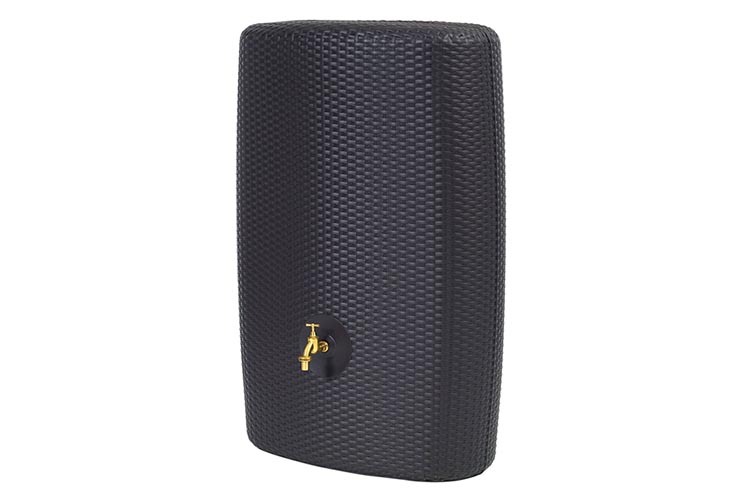 each unit comes with a brass tap and downspout connector. Unit includes a two year warranty. 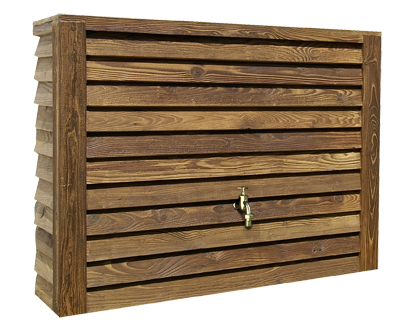 Two questions about the Slatted & Brick Wall rain barrels. (1) Are there only two holes (incoming water and faucet), or does the top remove for cleaning access? (2) The faucet appears to be about a foot above the bottom of the overall barrel--is that the bottom of the internal tank, or does the internal tank go all the way to the bottom of the barrel? The Brick Wall and the Slatted Rain barrel are similar in construction. 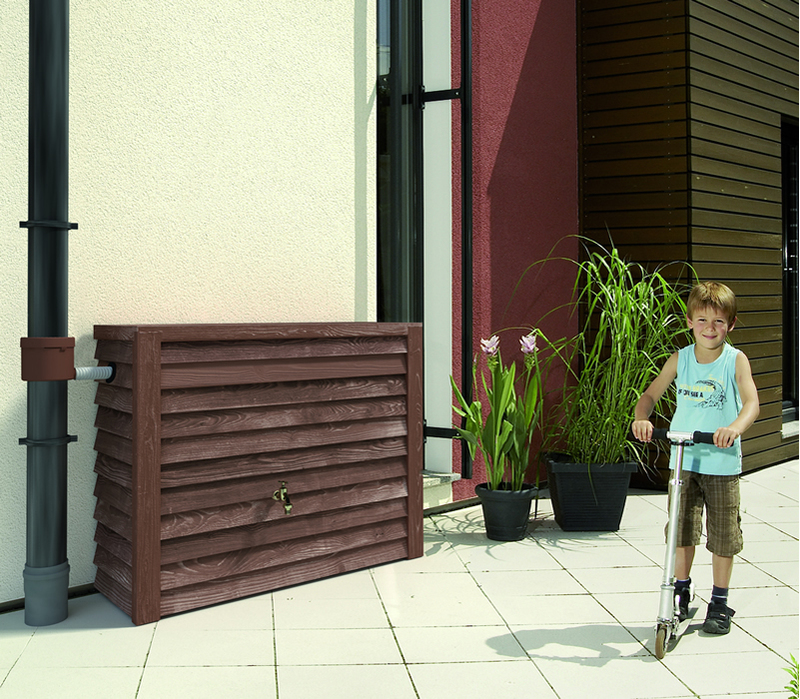 When you receive them there is no inlet – but the downspout connection kit that is included comes with a hole saw for you to place the hole at the best location for your placement. So then you will have a the inlet and the spigot. 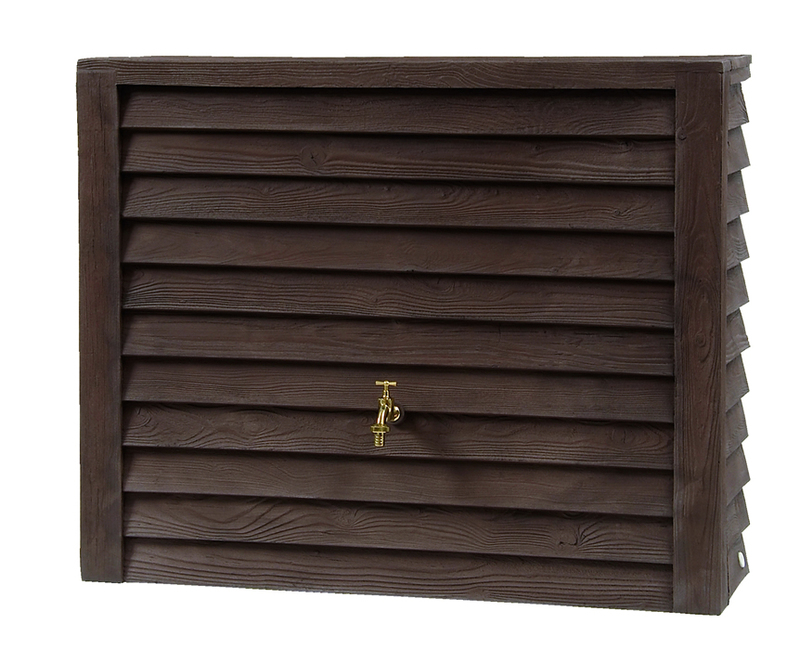 There is also one additional hole at the bottom of the tank that comes with a threaded plug – front bottom left corner on the Brick Wall Tank and bottom side on the Slatted Wood Tank. This hole is used for draining the tank completely, as the tank does extend fully to the base. 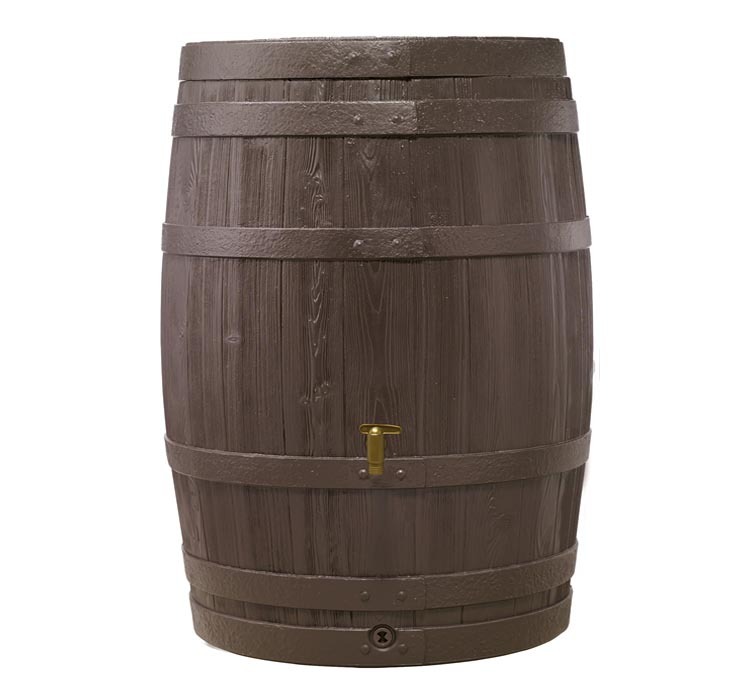 However, it does have the same threading as the spigot, so people have occasionally moved the spigot to the lower position and raised the tank up to make it usable. 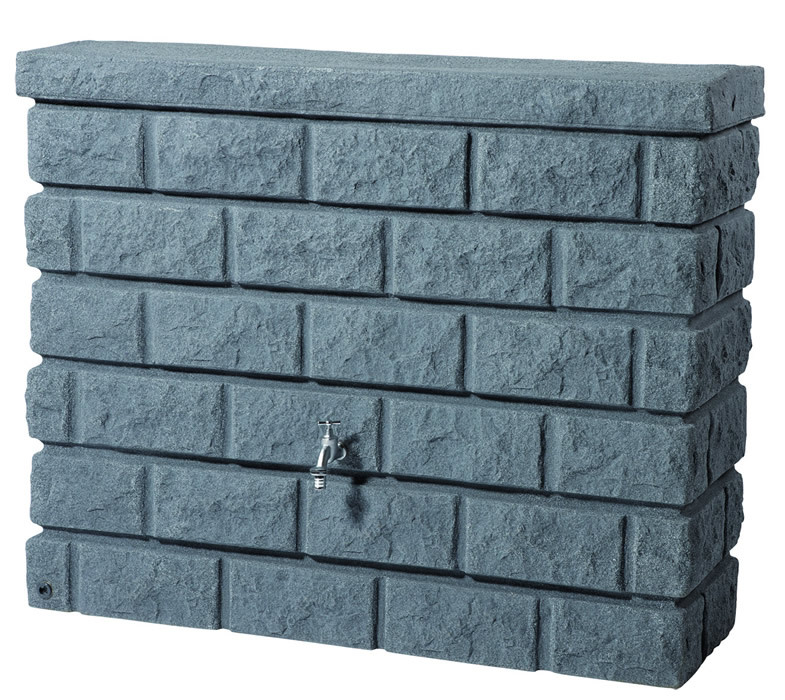 Terranova Wall rain collector. How do you winterize this product for the Colorado winters? How do you clean it out and how often is a cleaning required? First you close off the intake valve – so no more water enters the tank. Then you leave the spigot/tap open: leaving enough open space in the tank to allow the left over water to expand when frozen. 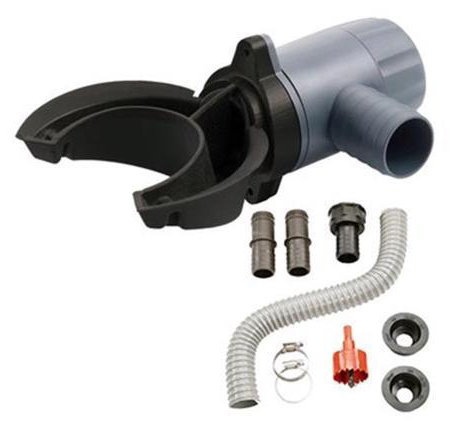 Very little cleaning (if any) is required due to the way the intake water grabber is designed – it really only collects water coming down the down-spout and hardly if any debris. But the biggest reason for little debris is that because the tank is closed to light/sunlight the water doesn’t degrade and does not develop algea – it stay clean – as a result there is very little settlement developing at the bottom of the tank – therefore not needing any cleaning. 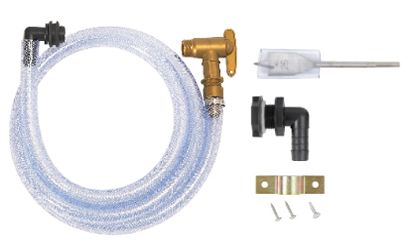 But just in case you do have a pretty bad/old roof with lots of material run off you can buy a special “universal Drainage Kit” which would allow you to drill a hole at the very bottom edge of the tank and drain debris. 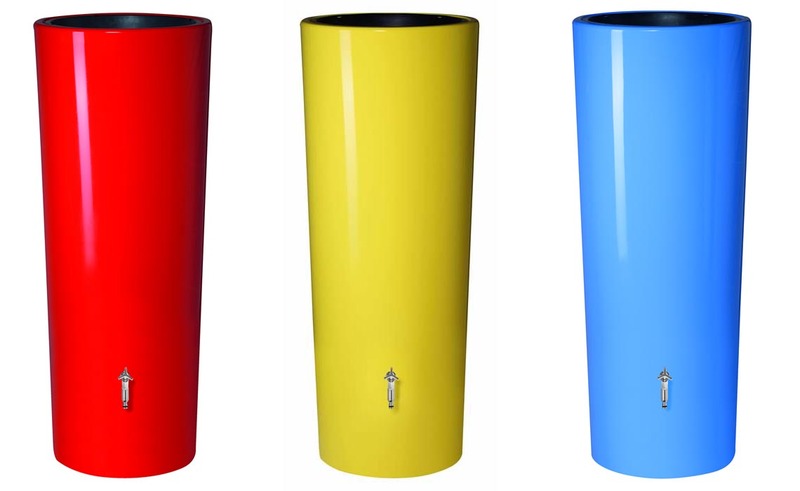 Do you offer any rain barrels 150+ gallon size? 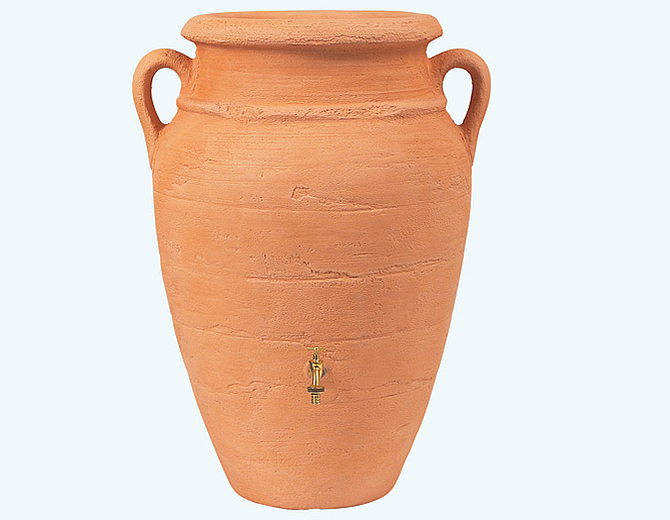 I know Graf has a 160 gal Amphora. 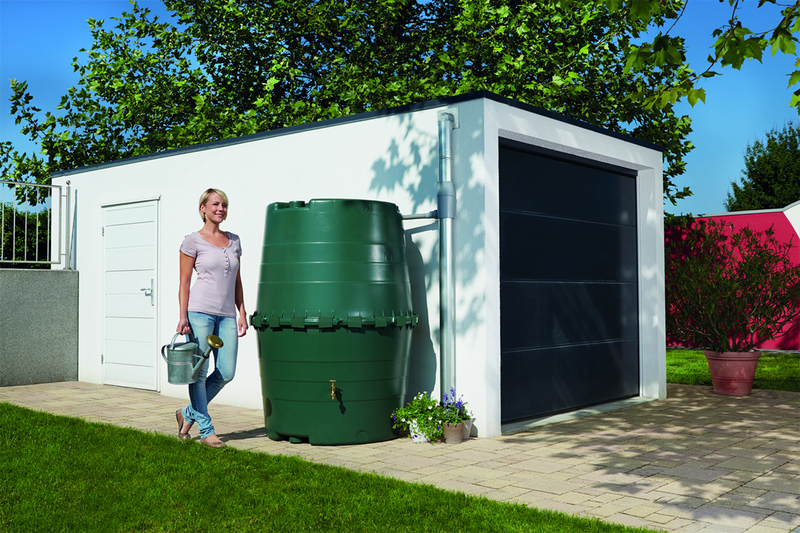 130gal+ Rain barrels are a hot item in LA now. 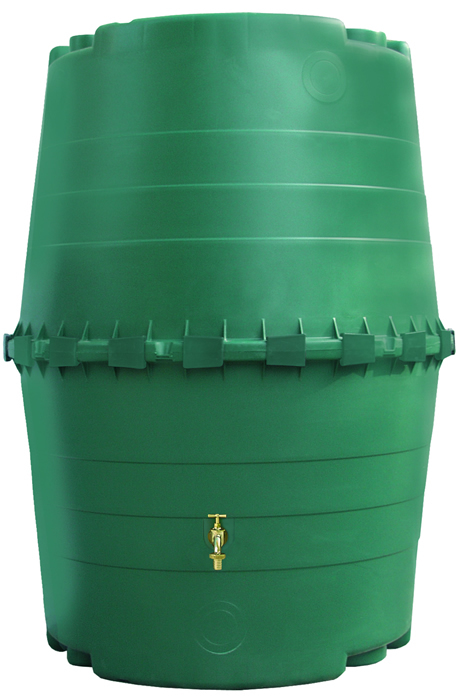 We have added the Top Tank to our line of Graf water harvesting products. They are 1,300 liters about 340 gallons. 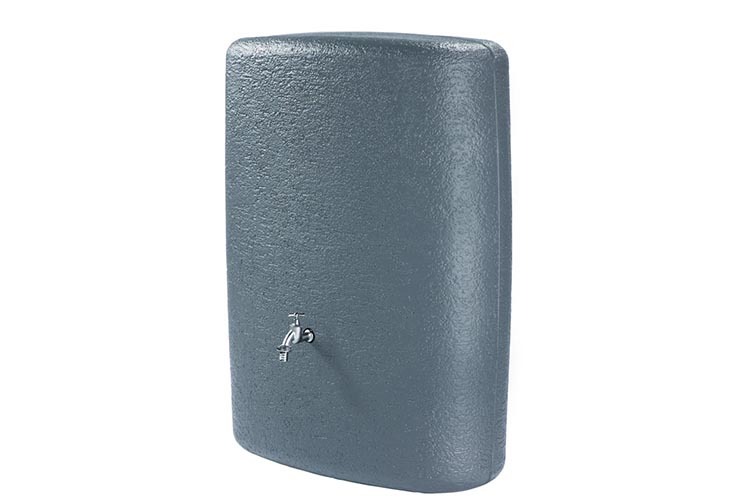 These are a bit more industrial looking but they are very high quality – and because they are made of two halves of high impact plastics this unit is 10x easier to move around than any other unit made from one piece and/or steel. Empty the unit only weighs about 70 lbs. Yet they are too big to send by UPS/Fedex and will have to ship on a pallet – but they nest very nicely – so the more units we ship the cheaper the cost per unit. We can ship 8 units on a pallet. 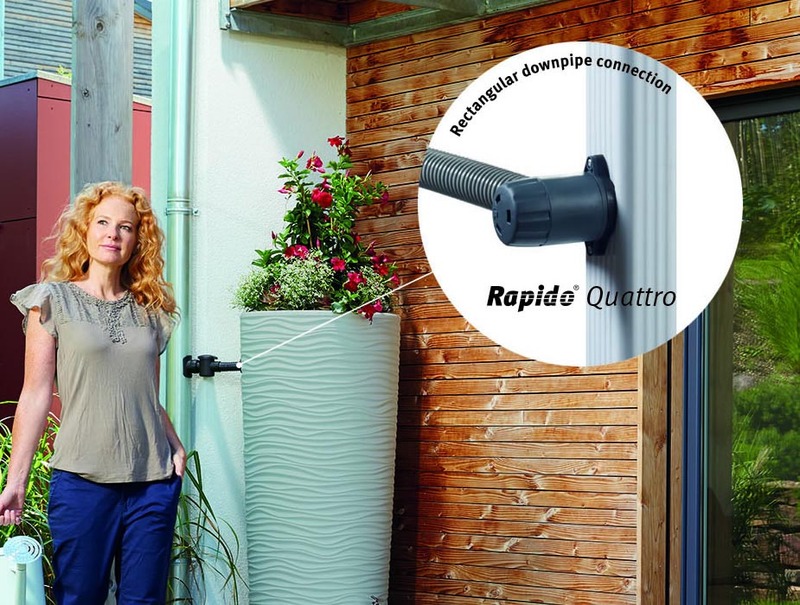 Does the universal downspout connector work with 4x4 (inch) downspouts used with metal roofs? 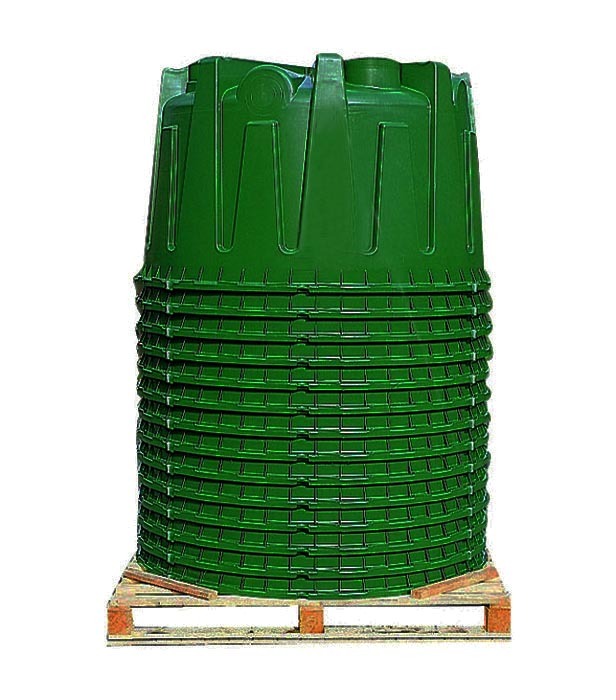 If not, are there any options/suggestions to be able to use with the slatted rain catcher? Yes, it will work just fine. However, if you want you can instead buy a much bigger collector but they are much more expensive. FYI: most customers do not realize that 1” of rain on a 1,000 sq.ft. 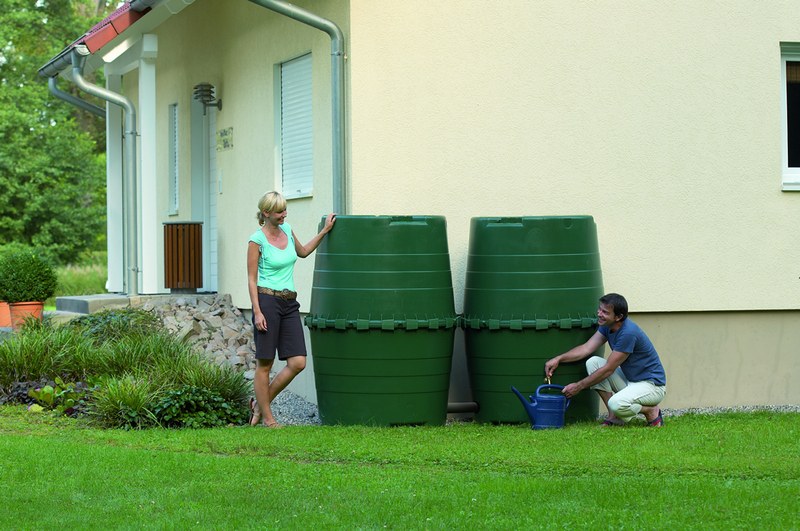 roof produces about 670 gallons of water - yet your rain barrel will hold only between 50-120 gallons so you only need to catch 20% and your rain barrels is already full. 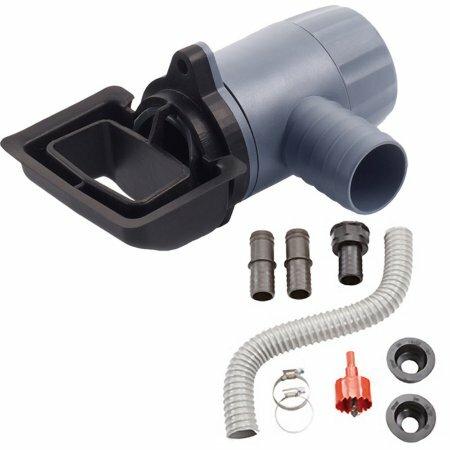 67 gallon rain barrel - will the down spout connector work in a 3x4 down spout? 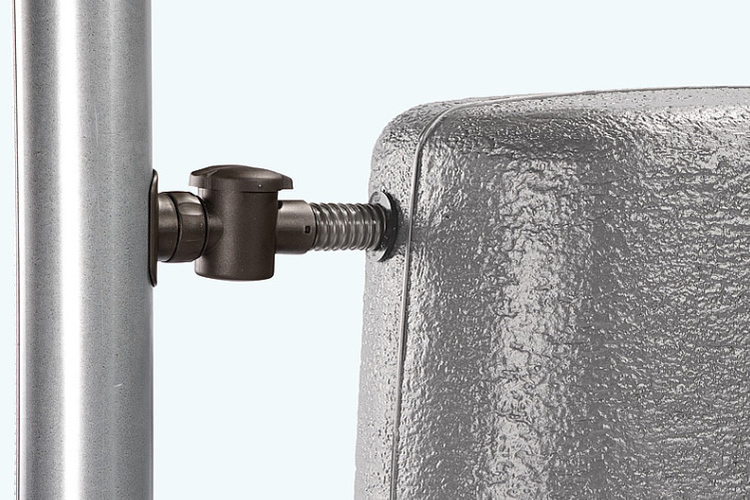 Yes, the down spout connector will work in a 3x4 down spout. 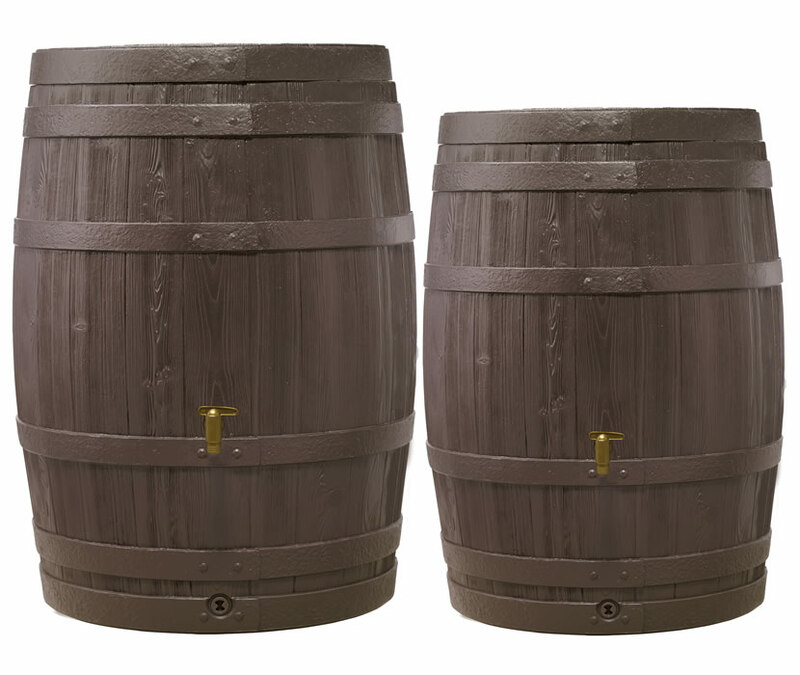 Hello, love look of your rain barrels.Heard complaints the faucet is too high preventing use of aprox 15 gallons of water or all water beneath faucet so old water gets stagnant/cannot be released.Can this be fixed? Is there also a lower faucet for hose? 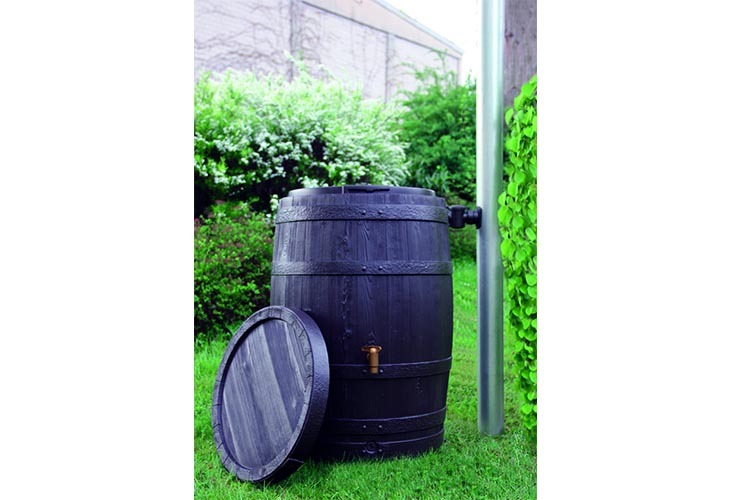 You can place the rain barrel on cinder blocks and insert the spigot to the lower drain hole. 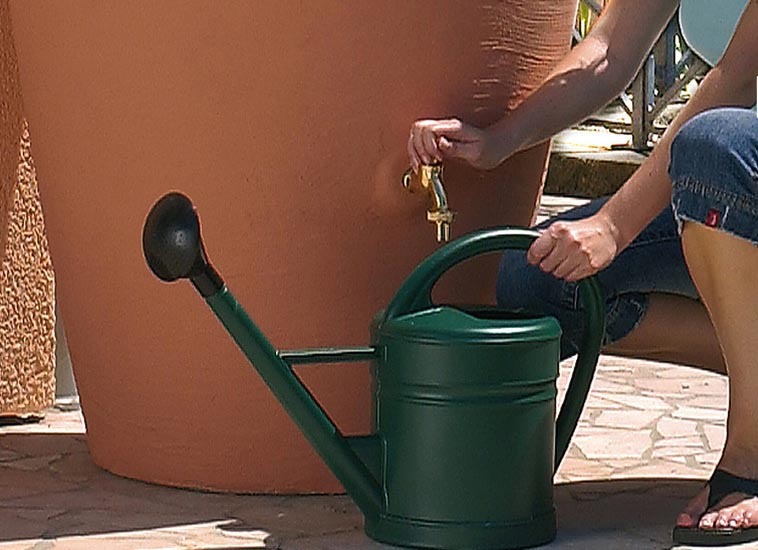 Can water be added to this tank by hand, or is it only for downspout collection? We don't get much rain, but we are collecting water from sinks and showers, and want to be able to add it to the common water collector. Yes you can add water to this by hand via an inlet on the top. I really want to buy the Sunda wicker tank in the Gray but can not find any place that has gray. I have been told that it is only available in dark brown. I hope you can help me find one. Unfortunately we do not have the Sunda in grey, only in the dark mocha color. The "grey" is a typo on our website, apologies for that. 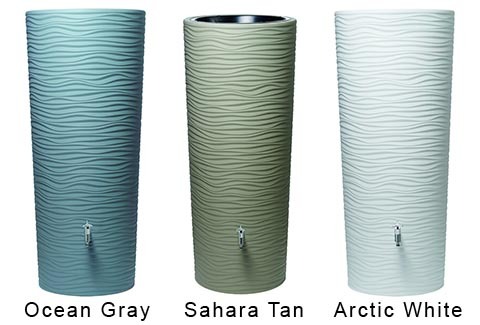 The Terranova wall tank is available in gray and is the same size and shape of the Sunda. It features a real nice rocky/concrete looking texture. 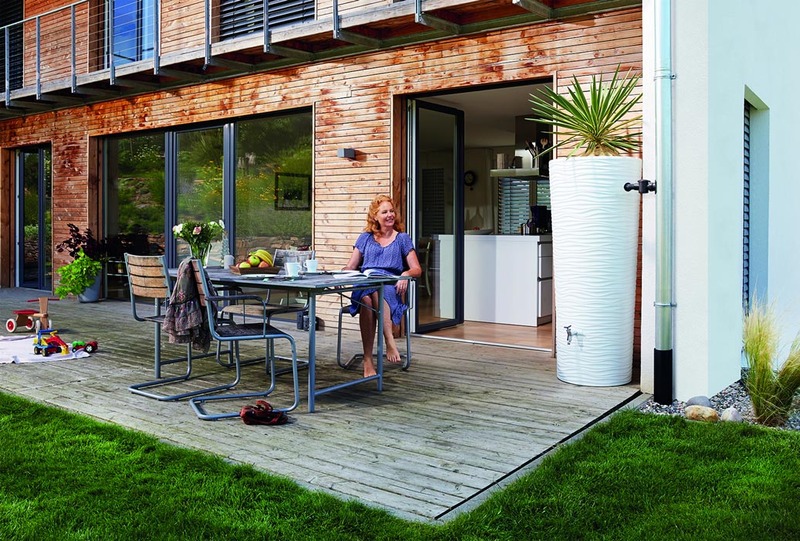 We have 2" diameter round downspouts. 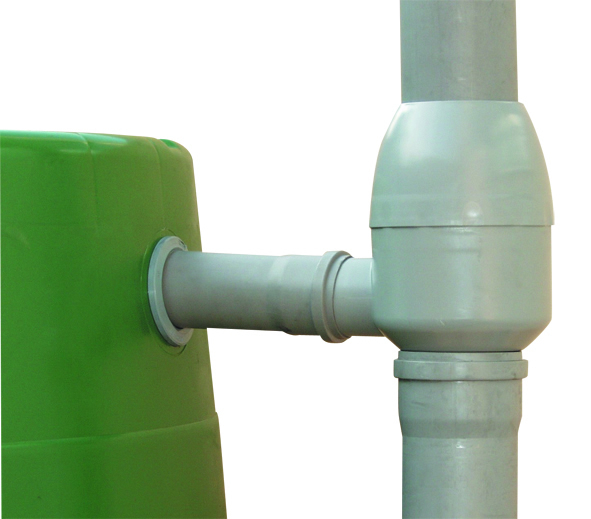 Will your round down spout rain barrel connection kit work for our down spouts? Unfortunately the connection kit will not fit in a down spout that small. Most of our retailers do ship to Canada. 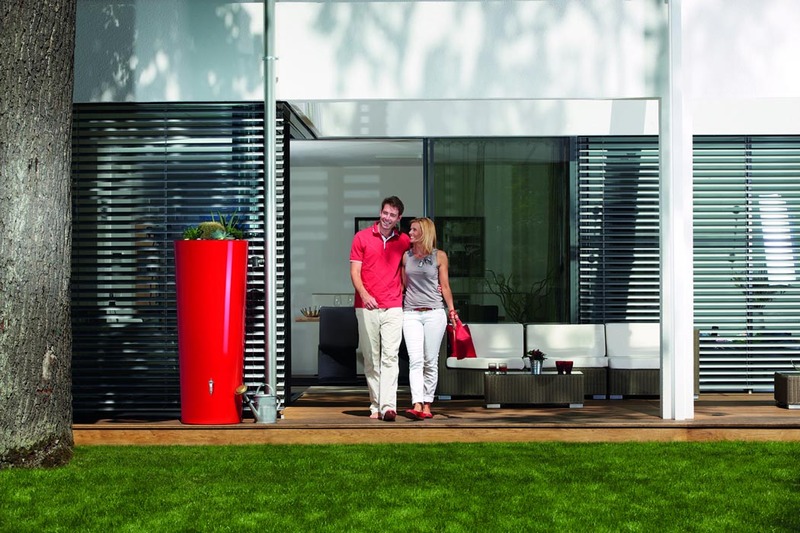 The Graf line of products are produced in Germany. There is a Canadian distributor and the Graf line and be found in Canada.